The vortical structures in the rear separation and wake region produced by a micro-ramp that immersed in a supersonic turbulent boundary layer are investigated. The small scale separation close to the trailing edge was revealed and this confirms the previous experimental observation. Between the reverse region and surrounding fast moving flow, a three-dimensional shear layer was formed, and vortices are generated. By using vortex line method, the spiral points were illustrated as the cross-sections of the Ω-shaped vortices that follow the shape of the separation. The vortical structure was analogous to that in the wake region, where similar Ω-shaped vortex which follows the deficit region caused by the micro-ramp can be observed. 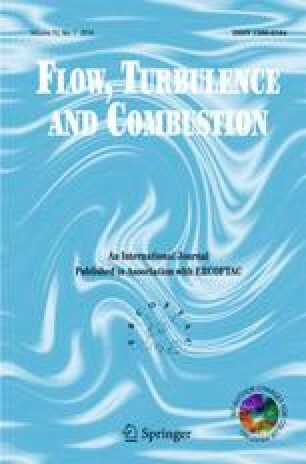 Finally, the revealed flow topology was conceived new and beneficial to the studying of wall bounded turbulence which involves similar vortical structures but in a smaller scale, compared with the vortical pattern in the current micro-ramp wake.